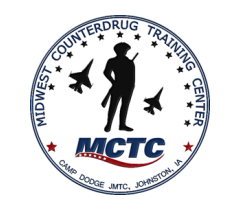 This course is open to US military, substance abuse prevention professionals, and community volunteers. Building a Solid Coalition Foundation was developed in partnership with the Iowa Alliance of Coalitions for Change. The course will provide attendees with the knowledge and skills to develop a new coalition or improve upon their current coalition. Organizations that fund coalitions want to see a solid foundation in the organizations they fund. The course will give both the individual that is new to coalitions and the experienced coalition member tips and tools to develop the structure and function of their coalition. As a result, the attendee will be able to create a plan based on a realistic picture in their community. Most importantly, the skills taught are framed within a sustainable context, so the organization and efforts have a lengthy lifespan. Pens and notebooks will be provided. It is recommended that if an attendee is part of a current coalition that they bring organizational documents, such as by-laws, new member orientation packets, community assessments, logic models, etc. Attendees will have an opportunity to work with instructors to improve these products.